Home > Cards - Debit Cards > The best Four Credit Cards for you this Festive Season.. The best Four Credit Cards for you this Festive Season..
Beginning October 1, the festive season begins. First comes Navratri, then Dussehra, Diwali, Christmas, New Year and Pongal. Use these credit cards responsibly to double your festive joy. When it comes to credit cards, the options in the market are huge. All the major banks of India offer a number of credit cards, which they want to sell to the customers with their relentless marketing. A credit card, if used smartly, can be a great financial instrument that not only builds your credit score, but also provides huge advantages over spending cash. However, out of so many options in the market, choosing the right credit card can be a bit tricky. There are a number of things you should see when you select a credit card. The first thing is the usage. If you like to use your credit card for shopping, then you may want to select a credit card which offers you the maximum cash back. Titanium and gold cards are especially chosen by those users who have high fuel consumption and so on. Secondly, you will need to check the interest rates charged on credit cards offered by different banks. The interest rate varies from card to card and bank to bank. It is the monthly amount that will be charged by the banks. The best thing to do is to compare different credit cards to find out the one with lowest interest rate. The third most important thing to look for is the annual fees on the credit card. The annual fee is charged by the banks to renew your credit card every year. Here is the list of a four credit cards you can pick from this month. 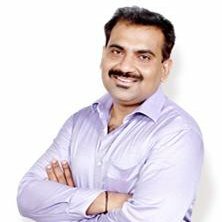 The author Mr.Rajiv Raj is a credit expert with 10 years of experience in personal finance and consumer banking industry and another 7 years in credit bureau sector. Rajiv was instrumental in setting up India's first credit bureau, Credit Information Bureau (India) Limited (CIBIL). He has also worked with Citibank, Canara Bank, HDFC Bank, IDBI Bank and Experian in various capacities.